A weekly newspaper has left its offices of 50 years for what it terms a new “town centre” location. The Leigh Journal will now be based on Bold Street in the Lancashire town, having previously been stationed on Railway Road. As a result of the move, the Newsquest-owned title’s new offices will be open four days a week, including Fridays for the first time. Editor Lynn Ashwell described the move as an “exciting time” for the newspaper. 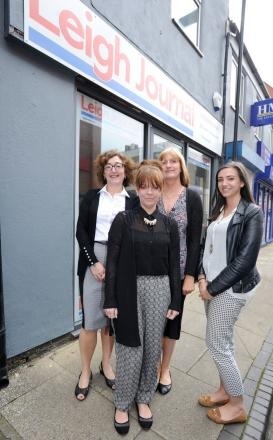 She said: “The Leigh Journal has always had a strong connection to the community so we are delighted to be opening the new office in the town centre. The office will be closed to the public on Wednesdays, but three reception staff have been retained following the move. That word “exciting” again….Groooaaaaan ! Can anything ‘thrive’ in Newsquest land? Could be worse it could be a table in a cafe three days a week like our friends elsewhere!